Above is a plot of the probability distribution of a normally distributed random variable with mean=1 and variance=1 (standard deviation=1). There is a wealth of statistical techniques that can be applied to normally distributed data. Whilst the normal distribution is very common. 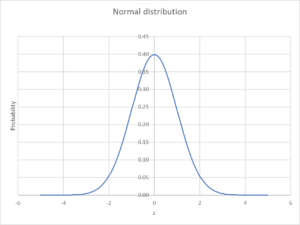 some phenomena exhibit a distribution where the log of the variable is randomly distributed, a log-normal distribution. G3CWI recently conducted an experiment where two WSPR transmitters were combined to a single antenna, and observations collected from receivers that decoded both transmissions in a WSPR 2 minute measurement interval. There are more than 4000 paired observations of A, B and B-A. In fact, the difference data B-A contains more information than the sets A and B in isolation, the pairing of the observations makes for increased statistical power and reduced confounding effects. 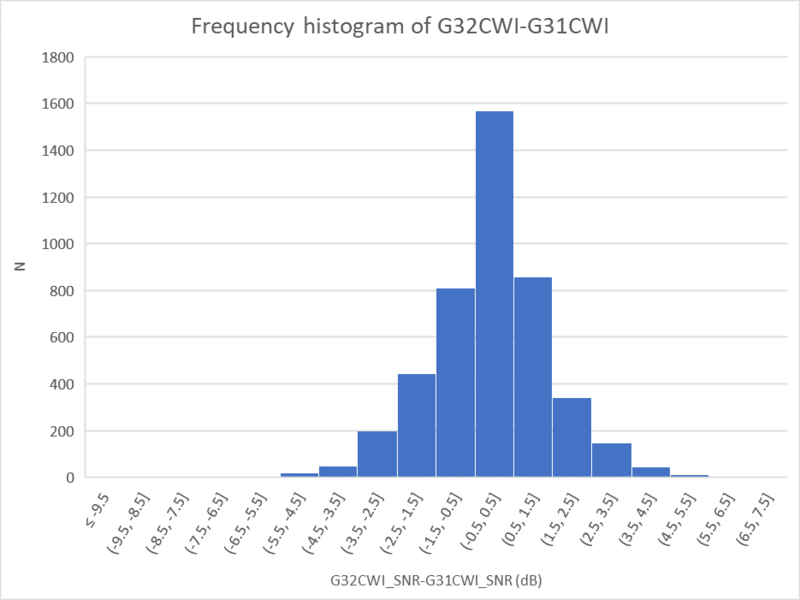 Above is a frequency histogram of the experiment log. You might notice a resemblance to the normal curve shown earlier. It is in fact an approximately log normal response to S/N, but normal response to S/N expressed in dB. 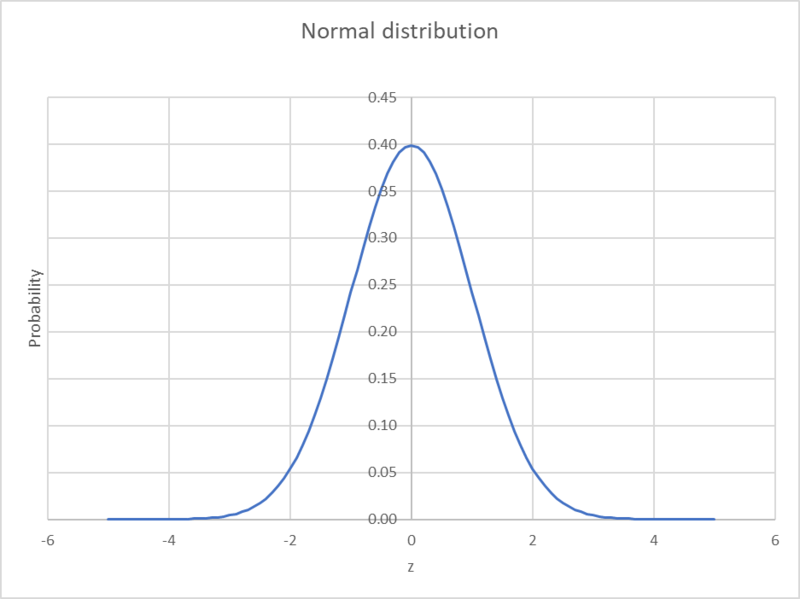 The parametric statistical methods that can be used for normally distributed data can be used with log-normal distributions (with appropriate log adjustments). Continues at WSPR for A/B tests – a discussion – part 2.